“While My Guitar Gently Weeps” was playing and, although still a boy, the music instantly hit me in the stomach. The tune was deep, longing, desperate, moaning. The voice fragile and demanding, the guitar soothing and electrifying. This was not a children’s song as on the A-side – this was music for adults. “While My Guitar” was playing all Easter long until my parents had enough. But I was the proudest kid in town. I not only owned my first record by The Beatles, it was also I who discovered the real gem of the record, hidden away on side B.
I became addicted and needed the album featuring that song. In short: I needed the The White Album. I went to the neighbor’s kids who were a few years older. One of them, Anna, knew almost everything about pop and rock music. And she not only knew about The Beatles’ latest record, she even knew somebody who actually owned the album. When I visited her a few days later, she put on The White Album and set the record player at 33 rpm. Then she cranked up the speakers as loud as possible. The first thing I heard was the sound of a whistle, getting more strident by the second, then a guitar setting in with a protracted tone. The beginning of “Back in the USSR.” I was blown away. And here again I am, roughly 50 years later, in 2018. Unboxing The White Album, placing CD 1 onto the tray of the CD player and waiting for the whistle sound. Closing my eyes and blanking out my brain, I make room for pure emotion. No, I don’t want to be one of those Beatles maniacs who can immediately decipher what tone, what riff, what drum beat is different from the original release. Yes, I want to replicate as best I can the feeling of ‘69 when I heard the record for the first time. And, of course, I know that all this is a little crazy. Crazy, that The Beatles unknowingly escorted me through life, in bright days as well as in dark hours. They lifted me up with their music when needed, they expressed what I felt with their tunes – or so I thought. I even learned English when, still a boy and only equipped with my father’s dictionary, I translated “Revolution” into German. I went into shock when John Lennon got killed on December 8, 1980, and fell silent when George Harrison passed away on November 29, 2001. To this day, I always have to visit Abbey Road, Savile Road, or the Dakota adjacent Central Park, when in London or New York. These places make me happy and sad as life itself. The new White Album sounds as if The Beatles are playing in the next room with the door left open. The atmosphere radiating from that imaginary room is both relaxed and concentrated. After their previous record, the masterpiece Sergeant Pepper’s Lonely Hearts Club Band, nothing was going to be the same anymore. John, Paul, George, and Ringo had entered the Olympus of immortality at ages 27, 26, 25, and 28. Already two years earlier, The Beatles had stopped playing live audiences. After completing a tour of the United States with a grand finale in Candlestick Park, San Francisco, the band called it quits. No more stadiums, no more deafening screams, no more chases by crazy fans. The Beatles transitioned into a studio band. Now, more than ever, their manager Brian Epstein had to hold the group together. But in August 1967, Epstein passed away, leaving behind a devastated band. What do you do in such a situation? What would I have done at that age? Hopefully, I would have turned to what I could do best: making music. And that’s exactly what they did. This is the story of The White Album. Bloody young geniuses thrown off course now trying to pull themselves together. The new release is about this story and as such very different from 50 years ago. That time The White Album came across polished, clean, missing context. The new record, however, is raw, unfettered, and imperfect. It’s a record not just about four individuals who each had put songs together and recorded them – more or less like a partnership of convenience. (Thus went the narrative of reviewers back then). Now we know: Nothing could be further from the truth. The Beatles in 1968 were still a band. A band that had changed. As life changes. And in their success, they were still unmatched. 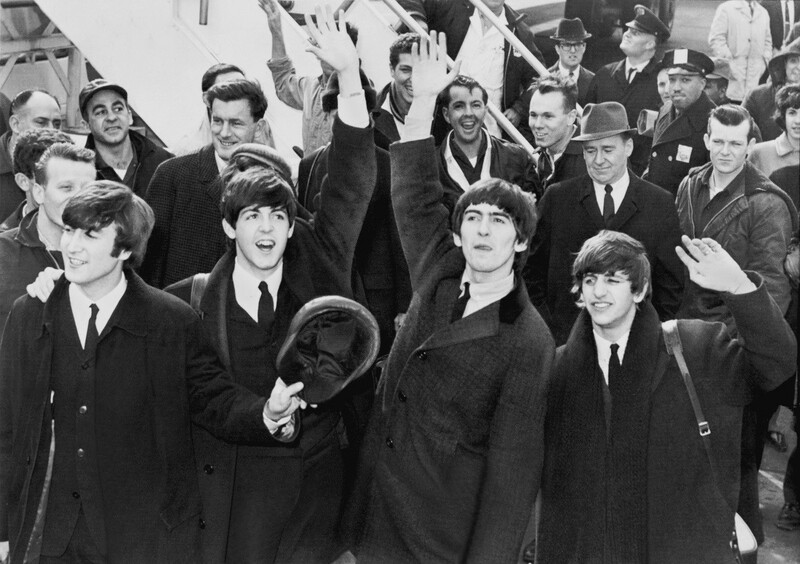 In the U.S., the new White Album topped the charts again – for an incredible nine weeks.